Fox News reports that US intervention in Venezuela may begin very soon, according to retired Brigadier General Anthony Tata, as the US, in favor of opposition leader Juan Guaidó, tries to force President Nicolás Maduro out of power. Maduro has refused aid for his country, burning trucks on bridges and stranding convoys full of food and medicine on the Venezuelan borders of Colombia and Brazil. The humanitarian crisis continues to rage amid extreme hyperinflation and protests in and around Caracas. The country’s economic instability has led to violent clashes and a drought in basic goods. People are increasingly moving their money into Bitcoin at record-breaking volumes as a hedge against the national currency and to prevent their funds from being seized. ﻿ Journalists and residents alike are facing increasing violence. Swedish journalist Annika Hernroth-Rothstein reports for the Daily Beast that she was robbed, beaten and threatened with death. Soldiers are defecting from the National Guard. Once the donation is made, the bolívar is removed from the mural. 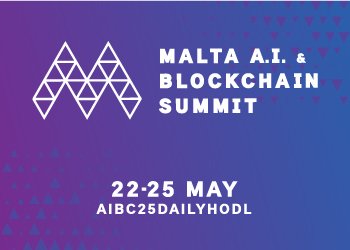 You can watch the broadcast here. 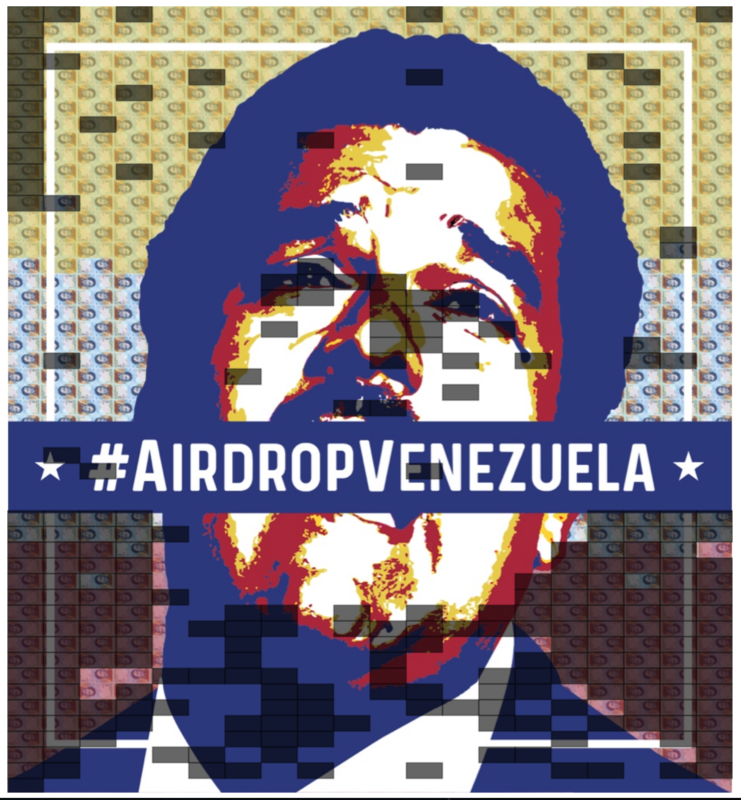 The mural is part of #AirdropVenezuela, a crypto drive to help Venezuelans. 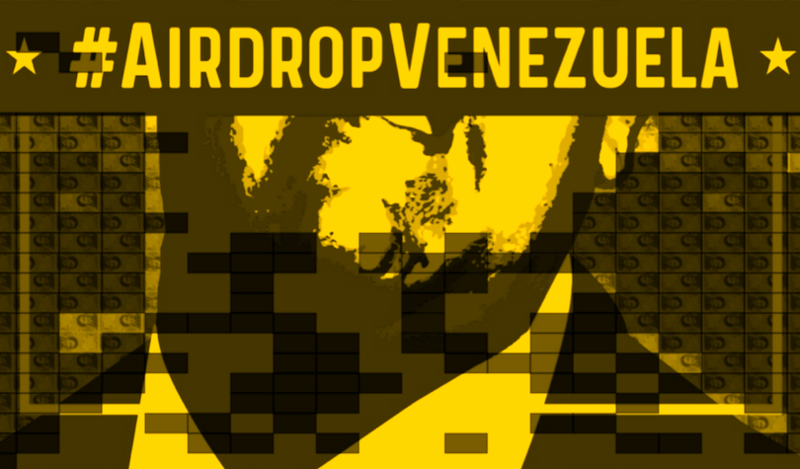 The campaign is accepting donations in several cryptocurrencies, and says that 100% of the donations received are sent to Venezuelan recipients. People from anywhere in the world can send the following cryptocurrencies. They are calling the organized support for Guaidó an orchestrated coup to oust him from power. CNN reports that Venezuela’s self-declared interim president Juan Guaido says he will exercise his ‘duties as president’ upon his return to Venezuela from Colombia after his meeting on Monday with US Vice President Mike Pence.